Who will succeed Comey as FBI director? 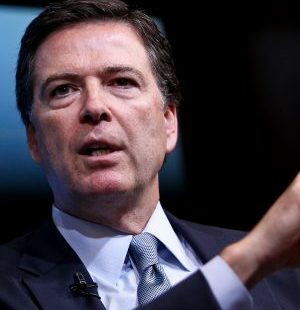 WASHINGTON- President Donald Trump’s decision last week to fire FBI Director James Comey took Washington by surprise and set off a frenzy of media speculation as to whom the Bureau’s next chief might be. The president has said the process is moving “rapidly” to replace Comey. The Justice Department interviewed several candidates this past weekend. Former Michigan GOP Congressman Mike Rogers is an ex-FBI agent and was recently endorsed by the FBI Agents Association. Rogers is a U.S. Army veteran and his tenure in Congress includes four years as chairman of the House Permanent Select Committee on Intelligence. Former NYC Police Commissioner Ray Kelly served in that capacity for 12 years under former Mayor and vocal Trump critic Michael Bloomberg. While commissioner Kelly championed the NYPD’s controversial “stop-and-frisk” policy, which President Trump also has praised. Kelly, a Democrat, was previously considered by the Obama Administration to lead the FBI. New Jersey GOP Gov. Chris Christie was a loyal Trump campaign surrogate and has reportedly been considered for several positions within the Administration. But Christie’s close proximity to the “Bridgegate” scandal, which recently resulted in the conviction of two former aides, might raise eyebrows during a Senate confirmation hearing. South Carolina GOP Congressman Trey Gowdy has served six years in the lower chamber but gained nationwide recognition as Chairman of the House Select Committee on Benghazi, which investigated Hillary Clinton’s State Department’s response to the 2012 terrorist attack on the U.S. Embassy in Libya during which four Americans were killed. Gowdy sits on the House Permanent Select Committee on Intelligence, which is investigating Russian interference in the 2016 U.S. Presidential Election and allegations of collusion between members of the Trump campaign and high-ranking Russian officials. Assistant Attorney General Alice Fisher, Senate Majority Whip John Cornyn (R-Texas), New York federal judge Michael Garcia, and Virginia federal judge Henry Hudson also are reportedly being considered to lead the FBI.